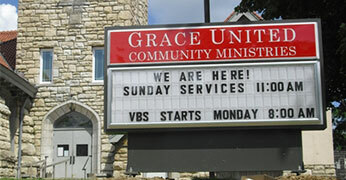 Welcome to America's largest and longest tenured manufacturer of church signs, school signs, and electronic LED signs! 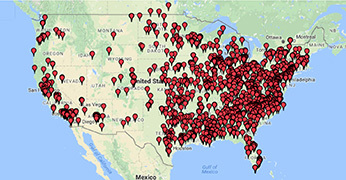 Put your trust in our 6 DECADES of experience and with well over 25,000 church and school signs shipped nationwide. Get started by downloading our catalog. I am so grateful to have worked with Amanda from Buy Direct!! 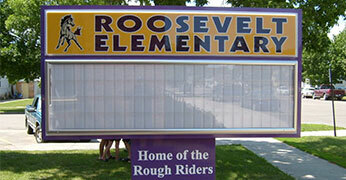 I had a horrible experience with another company for which it had paid in full for the production of our school sign. Thankfully was eventually able to recover the funds for which our school worked hard at fundraising for and that's when I came across Buy Direct. I was nervous and hesitant but that quickly faded upon working with Amanda. She was pleasant, professional, responsive and knowledgeable. It was such a pleasure working with her and she delivered as promised. We were able to get our sign designed and completed in 4 weeks!!!! I cannot say thank you enough!!! !